The principle of our company is to make every detail to achieve the best. we provide the best in quality for the most competitive prices. With Factory Audit report and Authorized by Disney. 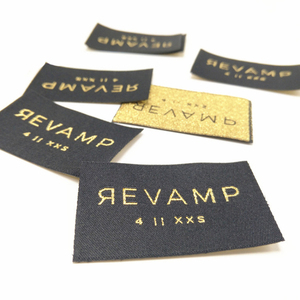 Woven Label Desc China latest and best custom woven loop fold label for clothing. We are glad to learn your idea and requirements, any kinds of woven loop fold label we can customize for you. Customize sample may be have a little expense, it depends on the product and quantity. 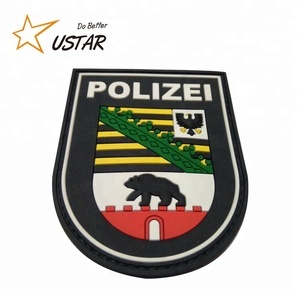 we are the factory professional in making various kinds of garment accessories,such as hang tags,woven label , woven patch,leather patch, embroidery patch, printed ribbon, etc. 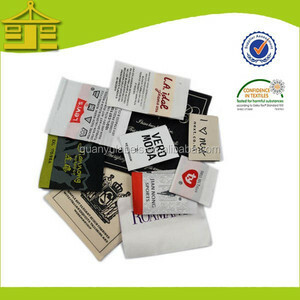 product description material&technics products show more products types of fold usages our woven labels widely use in garments, clothing,shoes,bags,handbags,necklace and so on. 2. How about the sample time9 The sample will be ready for 3-4 days after confirming the design. 4. How about the production time9 About 7-10days for mass production. 9.How about the price9 We will provide direct factory price for you. 4)For more detail , welcome to contact us . 5)Your satisfaction is our goal. We sincerely welcome your enquiries, look forward to establishing cooperative relationships with you and hope to be your reliable supplier of garment accessories in the near future . 5. What can we compare with other companies9 1. Our service person will 24 hours on line. QUESTION 2: How much is the shipping cost to my country9 The freight charge depends on your location, the dimension and the weight of the package. ^_^ If you are interested in it, pls contact me free, I will tell you more details of it. view details view details view details view details view details Personalized Custom polyester Fabric Loop Fold Woven Label Material Polyester, cotton, damask, lurex matallic thread, yarn 50D,75D,100D,150D Size/color Based on customer's requirments Edge Weaving, die cut, ultrasonic cut, heat cut or stitching along the side Folding End fold,Single Side Fold, Rolling, Miter Fold, Center Fold, Manhattan Fold, Straight Cut Usage Garment, shoe, hat, handbag, suitcase and other home textile product Lead time Sample time: within 3 days Mass Production time: 5-10 days or based on your quantity Our advantages 1. best service 2. free design 3. no moq 4. high quality and low price Pictures show Usage picture Packaging & Shipping Hangzhou Ouhong Garment accessories Co. , Ltd is one of the professional garment accessories supplier in Hangzhou, Zhejiang, China, enjoying high reputation at home and abroad. We can service many kinds of garment accessories, including Hang Tag Printed, woven label,hang tag, care/washing label, rubber &leather patch, embroidery patch, shopping bag, plastic tag,sticker and so on. 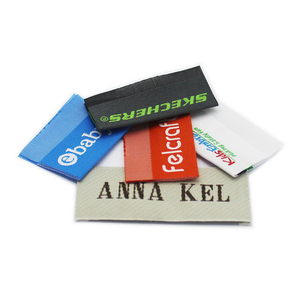 woven labels c. we will try our best to check and select the best shipping company for you, with cost-effective shipping cost and fast shipping time. b. ship by boat as per your order quantity. 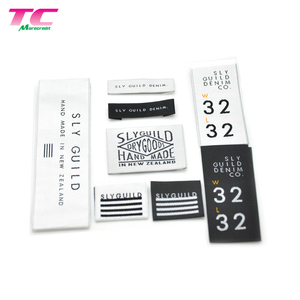 woven loop fold label for garment accessory Specification: 1. 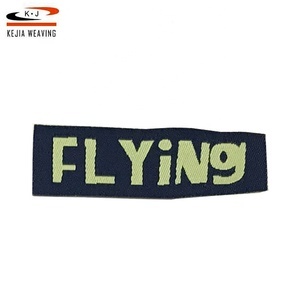 Nylon clothing label for garment, bags, clothers caps,etc. 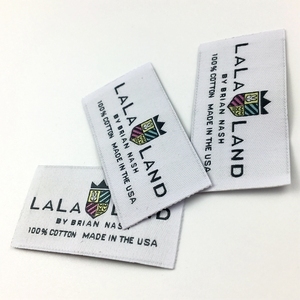 woven loop fold label for garment accessory "quality first, service first, customer first" . We take honesty as the best policy and "customer is the god" as our business principle so that we win many customers every day! 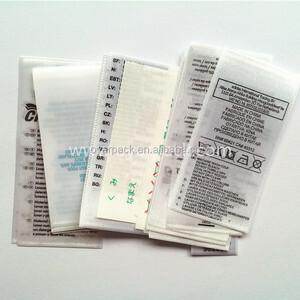 Alibaba.com offers 12,559 loop label products. About 35% of these are garment labels, 1% are packaging labels, and 1% are reflective material. A wide variety of loop label options are available to you, such as pvc, cloth, and paper. You can also choose from free samples, paid samples. There are 12,491 loop label suppliers, mainly located in Asia. The top supplying countries are China (Mainland), Pakistan, and Turkey, which supply 95%, 3%, and 1% of loop label respectively. Loop label products are most popular in North America, Western Europe, and South America. You can ensure product safety by selecting from certified suppliers, including 2,333 with Other, 1,749 with ISO9001, and 608 with BSCI certification.